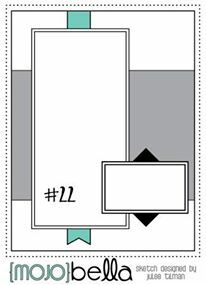 I've been playing in #thedailymarker30day challenge this month. I'm very much enjoying the challenge. Now, prepare yourselves for a shocker from the mouth of Faye... I've been colouring images for That Thing On 25 December We Don't Mention and I've enjoyed it! I KNOW!! Anyway, last weekend, I decided to colour Stamping Bellas Sweaty Chicks, but, with a seasonal twist. 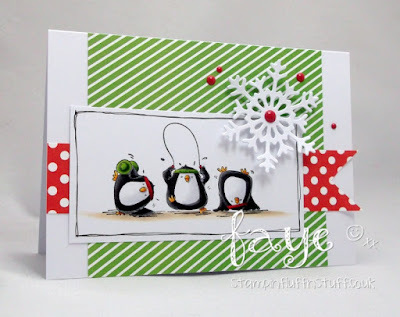 Stamping Bella has a number of Chick Stamps, so you can expect more penguins! As you can see, I went my own way (Anyone else singing Fleetwood Mac now?) with the Sketch this week too and flipped it on it's side! Yeah, I know, rebel. 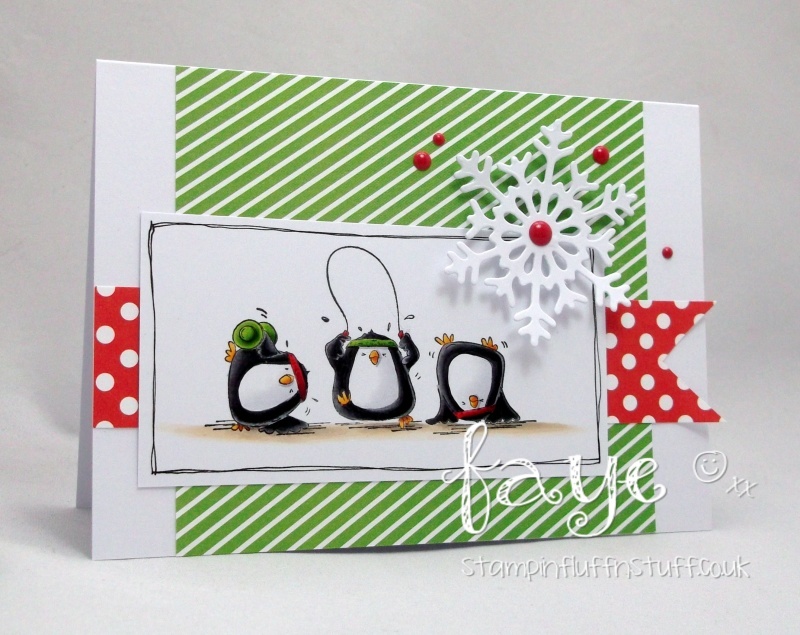 Love this card and the fab idea to turn the chicks into penguins, you clever thing. I shall have to turn a different eye to images from now on shan't I? How clever of you to make them into penguins Faye. That is one clever twist on the original image! It looks absolutely awesome! !